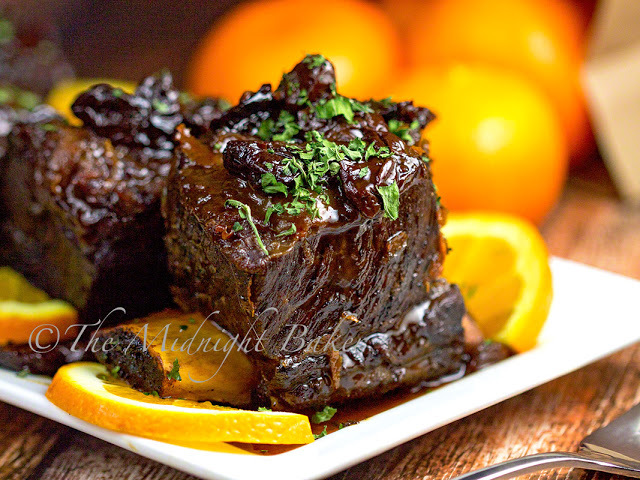 Fall-off-the-bone tender short ribs infused with orange and cherry flavors right in your slow cooker! 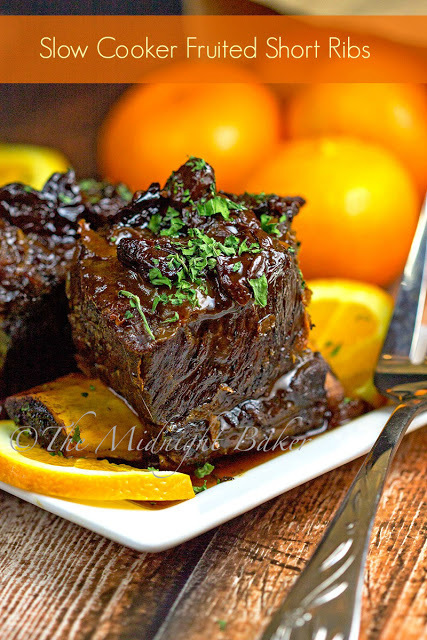 Since I’m always getting short ribs reduced because they don’t seem to sell well at my local store, I’m always trying to invent new ways to make them. Especially in the crock pot. The last bunch I got with the reduction were big meaty ones with more meat to fat–a real coup! I wanted to try something with fruit. At first I thought orange with maple syrup, but remembered I had some dried cherries in the cupboard that I’d almost forgotten about. Cherry imparts a wonderful deep and full-bodied flavor to beef–at least in my opinion. The introduction of crisp citrus seemed to work here too, hence the orange (I had one hanging around and some juice concentrate). I’m pretty sure it’d be just as good with dried cranberries just in case you don’t have or can’t find the dried cherries. 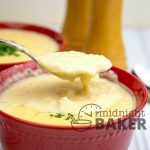 Since these are a fatty cut, what I do is pour off all the liquid that accumulates in the crockpot and put it either in the fridge (if I’m not serving same day) or the freezer (when I am serving same day) so the fat congeals and can easily be scraped off. This is much less frustrating that trying to skim it with a spoon. I thickened the de-fatted gravy with a little cornstarch and water slurry. It’s not absolutely necessary to do, but I like a little “cling” to my gravies. 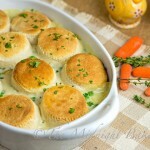 These are terrific served over plain rice–the meat and gravy is so flavorful! 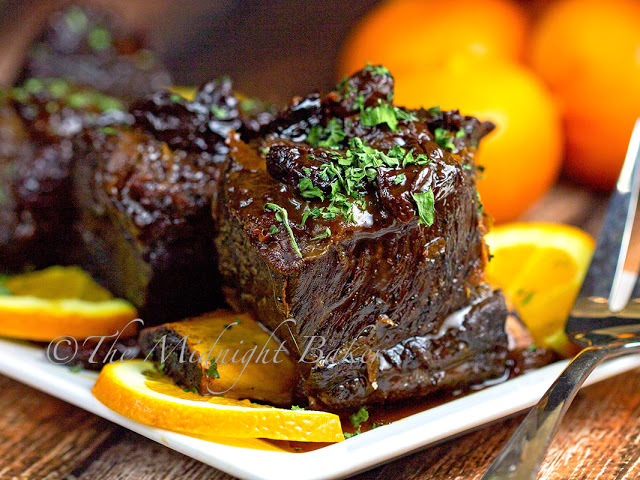 Brown short ribs on all sides in olive oil in large skillet over high heat. 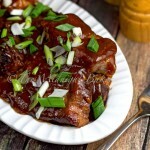 Place browned ribs in slow cooker. 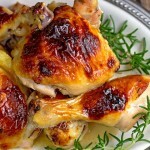 Drain off fat from skillet and deglaze the pan with the orange juice. Pour over ribs in slow cooker. 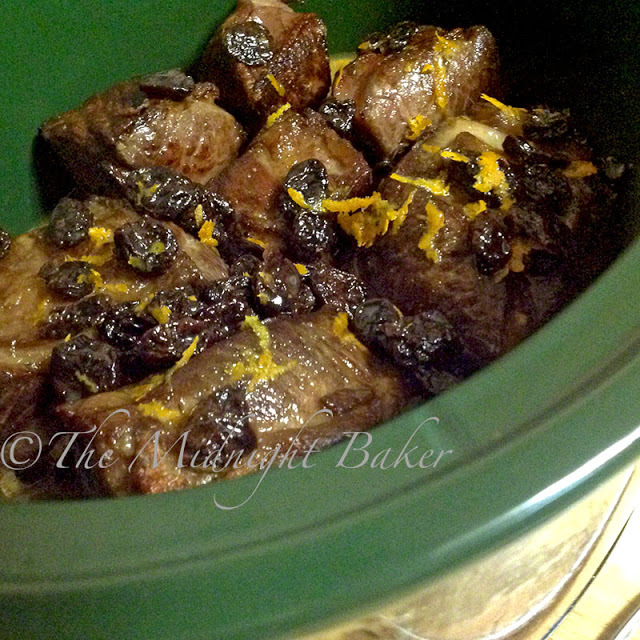 Add the cherries and orange zest to the slow cooker. Cover and cook on LOW 6-8 hours, HIGH 4-6 hours. Times are approximate since each slow cooker cooks differently. Remove ribs from slow cooker to serving plate. Pour juice from slow cooker into a small saucepan; skim off the fat. NOTE--I usually put this in a small bowl and place it in the freezer for about an hour so the fat congeals and can be removed easily. I keep the ribs warm while I do this by placing them back in the slow cooker and setting to warm. Mix the cornstarch and water. Heat the pan juices until they bubble and stir in cornstarch mixture. Cook 1 minute. Pour over ribs on serving platter. Serves 4-8 depending on appetite.